A nutritional joint therapy for cats and dogs that delivers the smaller molecules of the key isolates of chondroitin and glucosamine to help keep joints supple and healthy. 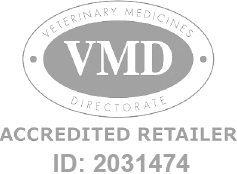 Cortaflex Canine/Feline Solution - 236ml is a Prescription Only Veterinary Medicine and by law requires a prescription from your vet. Cortaflex Canine/Feline Solution is a beef and liver flavoured liquid making it easy to feed to both cats and dogs.